This week at CVS, select Febreze products are on sale for $2.99. Stack the $1.00/1 L2C coupon with the $1.00/1 instant coupon and pay just $0.99! $0.88 Easter Candy Singles at CVS! 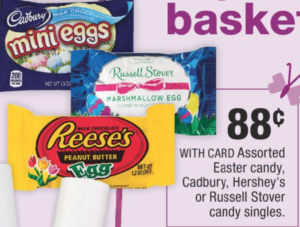 This week at CVS, you can get assorted Easter candy for just $0.88 each! $2.59 Water Bottles at CVS! 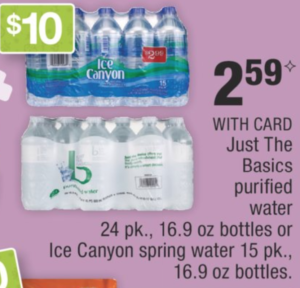 This week at CVS, Just the Basics water bottles or Ice Canyon water bottles are on sale for $2.59! No coupons needed. $0.99 Colgate Toothpaste at CVS! 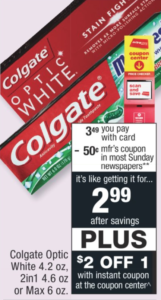 This week at CVS, select Colgate toothpaste is on sale for $3.49! Stack the $0.50/1 newspaper coupon with the $2.00/1 CVS instant coupon and pay just $0.99! $3.39 HP Everyday Copy Paper at CVS! 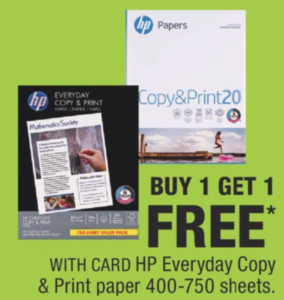 This week at CVS, HP Everyday Copy Paper is buy 1 get 1 FREE. 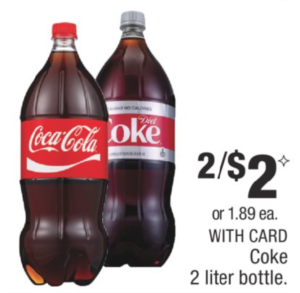 This week at CVS, Coke 2 liter bottles are on sale 2 for $2.00! $0.50 Reese’s Egg at CVS! 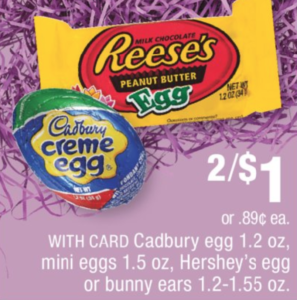 This week at CVS, Reese’s, Cadbury, or Hershey’s eggs are on sale for $0.50 each! FREE Listerine Mouthwash at CVS! 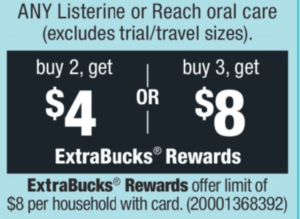 Right now at CVS, Listerine products are buy 3, get $8 ExtraBucks Rewards! $0.79 Crest Scope Mouthwash at CVS! This week at CVS, Crest Scope Mouthwash is on sale for $4.79! Use the $1.00/1 digital coupon and after the Extrabucks Rewards your mouthwash is just $0.79!